Hello! Thanks for visiting! My name is Michelle and I am the creator behind Barabooboo Designs. I sew loads of things, but bags and wallets are my jam! I sell my bags in my Etsy Shop and Facebook Page. I do ready To Ship items as well as custom orders. Photography is one of my hobbies and am learning new things everyday. 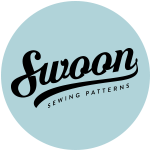 This blog is where I will share what I am currently working on, testing for a pattern maker, or just little tips, time savers (and money savers!) to anyone who may be interested…. Follow my journey if you want to!